Using a geology-based assessment methodology, the U.S. Geological Survey estimates a mean of 21 trillion cubic feet of undiscovered natural gas and a mean of 60 million barrels of undiscovered oil in the Uinta-Piceance Province. Nearly all of the undiscovered gas resource is unconventional (continuous). 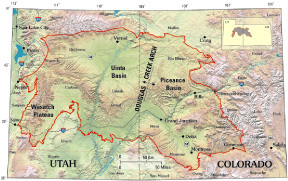 The U.S. Geological Survey (USGS) recently completed an assessment of the undiscovered oil and gas potential of the Uinta-Piceance Province of northwestern Colorado and northeastern Utah (fig. 1). The assessment of the Uinta-Piceance Province is geology based and uses the Total Petroleum System concept. The geologic elements of Total Petroleum Systems include hydrocarbon source rocks (source rock maturation, hydrocarbon generation and migration), reservoir rocks (sequence stratigraphy, petrophysical properties), and hydrocarbon traps (trap formation and timing). Using this geologic framework, the USGS defined five Total Petroleum Systems and 20 Assessment Units within these Total Petroleum Systems, and quantitatively estimated the undiscovered oil and gas resources within each Assessment Unit (table 1). The USGS assessed undiscovered conventional oil and gas and continuous (unconventional) oil and gas, including coal-bed gas (CBG in table 1). The USGS estimated a mean of 21 trillion cubic feet of gas (TCFG), a mean of 60 million barrels of oil (MMBO), and a mean of 43 million barrels of natural gas liquids (MMBNGL) in five Total Petroleum Systems. Nearly all of the undiscovered Printed gas resource is continuous (unconventional) rather than conventional. Of the 21 TCFG, 13 TCFG is estimated to be in the Mesaverde Total Petroleum System, and 7 TCFG is in the Mancos/Mowry Total Petroleum System. The Ferron/Wasatch Plateau Total Petroleum System and Mesaverde Total Petroleum System are estimated to contain 2.3 TCFG of coal-bed gas. The Phosphoria and Green River Total Petroleum Systems contain the balance of the undiscovered gas resource. 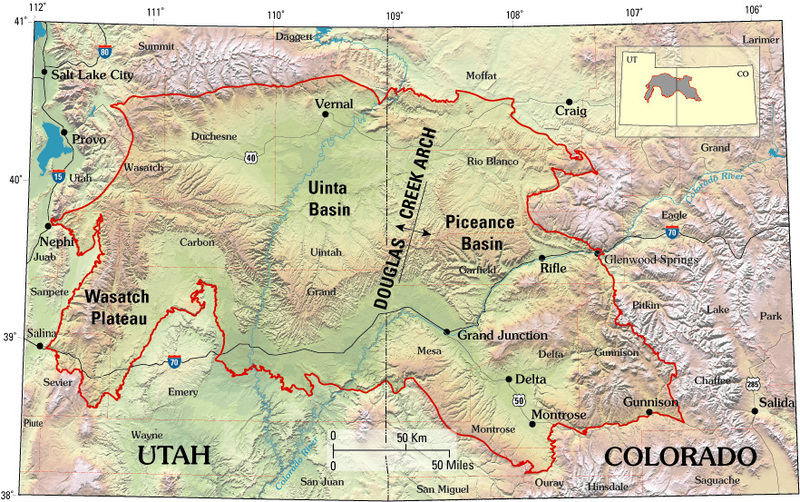 Figure 1.Uinta-Piceance Province located in northwestern Colorado and northeastern Utah. The Douglas Creek arch separates Piceance Basin from Uinta Basin. The Wasatch Plateau is included in this province. Mark A. Kirschbaum (Task Leader; mkirsch@usgs.gov); Larry Anna, Timothy S. Collett, Troy Cook, Russell F. Dubiel, Thomas M. Finn, Robert D. Hettinger, Mitchell Henry, Edward A. Johnson, Ronald C. Johnson, Paul G. Lillis, Philip H. Nelson, Vito F. Nuccio, Cynthia A. Rice, Laura N.R. Roberts, and Stephen B. Roberts.